Steve Wolfe posted a message on Alan Schwartz's Profile. Alan Schwartz added a photo to his profile gallery. 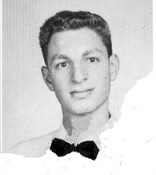 Alan Schwartz updated his profile. View.